Courtesy ForiaForia CEO Mathew Gerson. Foria, a company that makes marijuana products for women – including suppositories designed to target menstrual cramps that have been nicknamed “weed tampons” – is about to see how they work in treating the symptoms associated with periods. Gruber said she saw it as a first step in researching marijuana and women’s health. As cannabis products enter the mainstream, two markets remain largely untapped: women’s health and sexuality. While various compounds in cannabis have long been thought to alleviate symptoms associated with pain and stress from menstruation, there hasn’t been a lot of research to back it up. 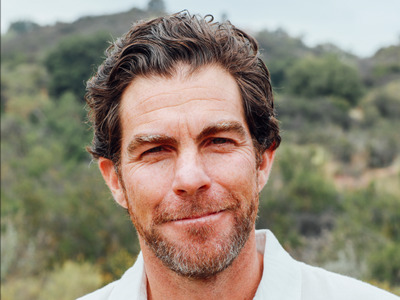 Foria Wellness, a startup based in Venice Beach, California, is seeking to change that. It released a line of products – including lotions, sprays, vaporizer pens, and marijuana suppositories – designed to help women with everything from treating menstrual pain to having orgasms. While Foria’s Relief product has been nicknamed a “weed tampon,” it’s not exactly that. Rather than a cotton device, it’s a suppository pill that when inserted into the body quickly gets absorbed. Foria’s suppositories are forming the basis of an observational study of 400 women to see how marijuana-based products affect the symptoms associated with periods. 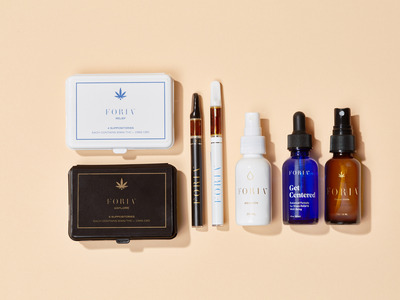 So far, Foria has raised $US2 million in a funding round led by Gotham Green Partners, a cannabis-focused venture-capital firm. The company’s THC-containing products are available in Colorado and California, where cannabis is legal for adult use, and will be available in Canada once legalization goes into effect later this month. Courtesy ForiaForia’s line of products. Foria’s CBD products, like its new Flow vaporizer pen, are available online and can be shipped worldwide. CBD, or cannabidiol, is a nonpsychoactive compound in cannabis that has been linked to a range of health benefits but cannot get you high. According to Gerson, Foria’s products are effective because of what’s known as the “entourage effect” of the active compounds in marijuana. Staci Gruber, a professor of psychiatry at Harvard Medical School and the director of the Cognitive and Clinical Neuroimaging Core and the Marijuana Investigations for Neuroscientific Discovery program at the McLean Hospital in Massachusetts, is using Foria’s marijuana suppository as part of the observational study. Gruber said she viewed the study as a first step, with the “holy grail” being a clinical trial that determines how a product like Foria’s compares with a placebo group in relieving menstrual symptoms. First, researchers must go through a lengthy application process – which can take years – to obtain a permit to conduct a study. And all cannabis used for research must be purchased through the National Institute on Drug Abuse. Many researchers have said the institute’s supply is of poor quality, with low concentrations of THC. Gerson said he hoped the observational study would ultimately help the people who purchase Foria’s products.